No pictures found for plate number 4J1923 in Michigan, United States. click here to add a picture. No videos found for plate number 4J1923 in Michigan, United States. click here to add a video. No owners found for plate number 4J1923 in Michigan, United States. click here to add an owner. 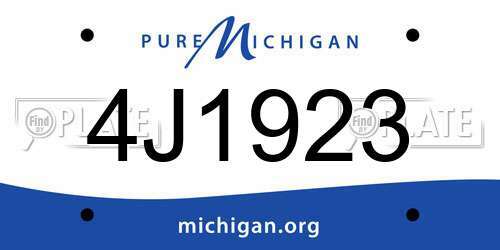 No related websites found for plate number 4J1923 in Michigan, United States. click here to add a related website. ON CERTAIN VEHICLES EQUIPPED WITH CURTAIN SHIELD AIR BAGS (CSA), ONE OR BOTH OF THE CURTAIN AIR BAGS MAY BE TWISTED NEAR THE INFLATOR DUE TO IMPROPER ASSEMBLY. IF THIS OCCURS, THE CSA MAY NOT DEPLOY RAPIDLY ENOUGH WHEN ACTIVATED IN A SIDE IMPACT COLLISION. THIS MAY RESULT IN FAILURE TO PROVIDE THE INTENDED HEAD PROTECTION, INCREASING THE RISK OF INJURY. DEALERS WILL INSPECT THE CSAS AND REPLACE THE AIR BAG ASSEMBLY IF NECESSARY. THE RECALL BEGAN ON AUGUST 6, 2004. OWNERS SHOULD CONTACT TOYOTA AT 1-800-331-4331. VEHICLE DESCRIPTION: PASSENGER VEHICLES EQUIPPED WITH A THREE-SPOKE STYLE STEERING WHEEL. DURING AIR BAG DEPLOYMENT, IT IS POSSIBLE THAT THE BOTTOM SEAM OF THE FRONT DRIVER'S SIDE AIR BAG MODULE COVER (HORN PAD) COULD BE TORN AWAY ALLOWING THE BOTTOM PORTION OF THE COVER TO COMPLETELY DETACH FROM THE AIR BAG MODULE. IF THIS SHOULD OCCUR, THERE IS A POSSIBILITY THAT THE DETACHED BOTTOM PORTION MAY STRIKE THE DRIVER CAUSING PERSONAL INJURY. DEALERS WILL REPLACE THE DRIVER'S SIDE AIR BAG MODULE. OWNER NOTIFICATION BEGAN DECEMBER 28, 2001. OWNERS WHO TAKE THEIR VEHICLES TO AN AUTHORIZED DEALER ON AN AGREED UPON SERVICE DATE AND DO NOT RECEIVE THE FREE REMEDY WITHIN A REASONABLE TIME SHOULD CONTACT TOYOTA AT 1-800-331-4331 OR LEXUS AT 1-888-333-9376. VEHICLE DESCRIPTION: PASSENGER VEHICLES EQUIPPED WITH CONTINENTAL TOURING TIRES, P205-65R15 92S, INSTALLED AT THE PORTS IN JACKSONVILLE, FLORIDA. THE INCORRECT TIRES WERE INSTALLED ON VEHICLES THAT HAD DAMAGED TIRES. THE TIRES WERE DAMAGED DURING A PORT UPGRADE TO ALUMINUM WHEELS. THE TIRES DO NOT CONFORM TO THE SPEED RATING FOR THE VEHICLE. IF THE VEHICLE EXCEEDED THE MAXIMUM SPEED RATING (112 MPH), POSSIBLE TIRE FAILURE COULD OCCUR. DEALERS WILL REPLACE ALL FIVE TIRES. OWNER NOTIFICATION BEGAN SEPTEMBER 13, 2001. OWNERS WHO TAKE THEIR VEHICLES TO AN AUTHORIZED DEALER ON AN AGREED UPON SERVICE DATE AND DO NOT RECEIVE THE FREE REMEDY WITHIN A REASONABLE TIME SHOULD CONTACT SOUTHEAST TOYOTA AT 1-800-301-6859. 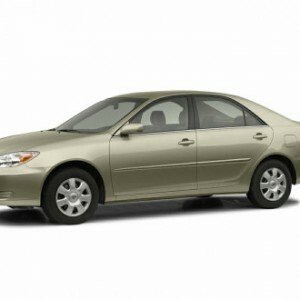 VEHICLE DESCRIPTION: PASSENGER VEHICLES. INCOMPLETE DEPLOYMENT OF THE FRONT PASSENGER SIDE AIR BAG COULD OCCUR IN THE EVENT OF A CRASH. DEALERS WILL REPLACE THE FRONT PASSENGER SIDE AIR BAG ASSEMBLY. BOTH OWNERS WERE NOTIFIED BY TELEPHONE AND ARRANGEMENTS HAVE BEEN MADE TO CORRECT THIS PROBLEM. THIS CAMPAIGN IS 100% COMPLETED. BOTH OWNERS HAVE BEEN NOTIFIED AND THEIR VEHICLES REPAIRED. BOTH OWNERS WERE NOTIFIED BY TELEPHONE.NO FURTHER INFORMATION IS REQUIRED.